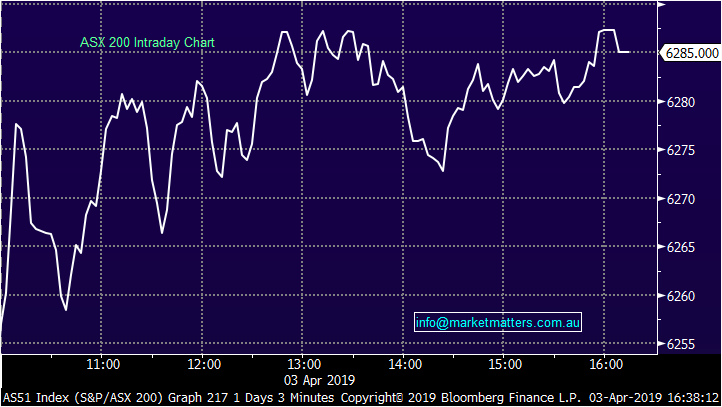 The local market threatened to fade the rally once again today, but instead some bidders in the afternoon managed to fight off any chance of another intraday slump and sent the index to levels not seen since September last year. 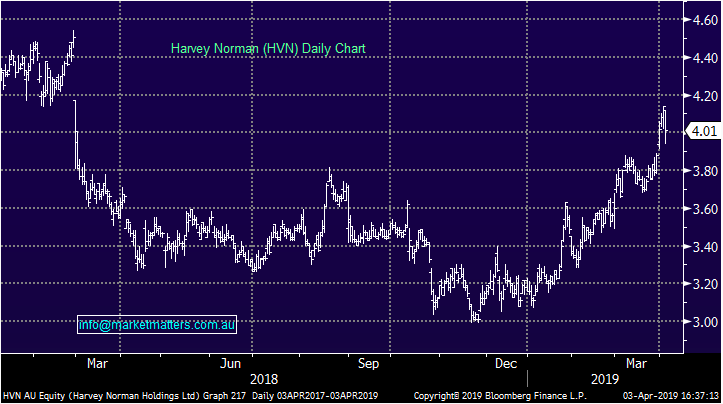 It was the resource names seeing the most love again today – Rio Tinto (RIO) cracked and this time held the $100 mark, BHP only a whisker away from $40 – as iron ore continues to receive the most news flow. Today, Chinese PMI’s were strong and the Iron Ore price put on another ~2% from the morning close. Iron Ore is now up more than 50% since November – massive moves clearly. Locally, retail sales were better than expected while the trade balance was also fairly strong. 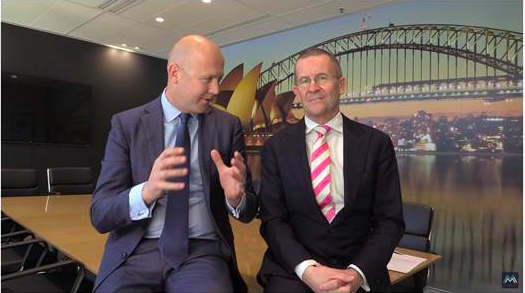 Last night’s budget seemed to be in focus today despite Labor likely to take the next election. Two areas we see as getting bipartisan support would be healthcare & infrastructure – these two areas are prioritised at nearly every budget, seen as easy vote getters. Healthcare names tended to do well today, while the infrastructure leveraged plays were mixed although the three big contractors, DOW, CIM & LLC all finished higher. NAB Online Retail Sales Index contracted -3.4% in February on a month-on-month, seasonally adjusted basis. This is its worst growth rate in the series history. With the effect of the November sales events now passed, it appears that broader weakness in retail is flowing through to online. 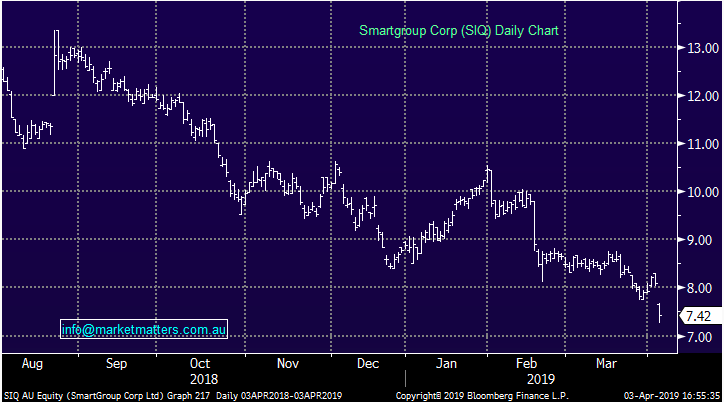 Smartgroup (SIQ), -8.28%, took a hit today a day after announcing a special dividend and trading higher. The company which runs outsourced administration announced that the CEO had sold a total of 1.1m shares for ‘personal reasons,’ priced at $7.60 after market yesterday, ~6% below yesterday’s close price. The CEO still holds around 3m shares, so it’s not a total departure from the registry however the market never likes an internal seller. 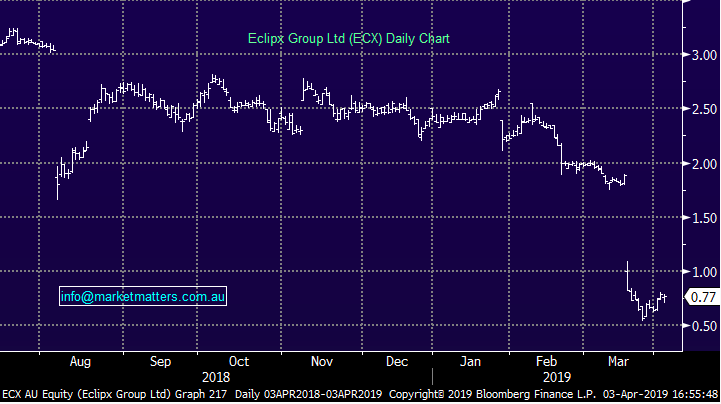 Eclipx (ECX), -3.8%, one we have spoken a bit about recently, struggled again after formalising the end of takeover talks with McMillan Shakespeare (MMS), -1.24%. The market assumed this was likely the case, however the announcement also detailed that Eclipx would make an $8m payment to McMillan “for costs… incurred to date in connection with the SIA (Scheme of Implementation).” It seems McMillan held Eclipx to ransom here, with the payment equal to 1.8c/ECX share according to the company. Not one we are interested in.